Hello Foxy Fashion Friends! Today we're back at it with another week of Create 28. 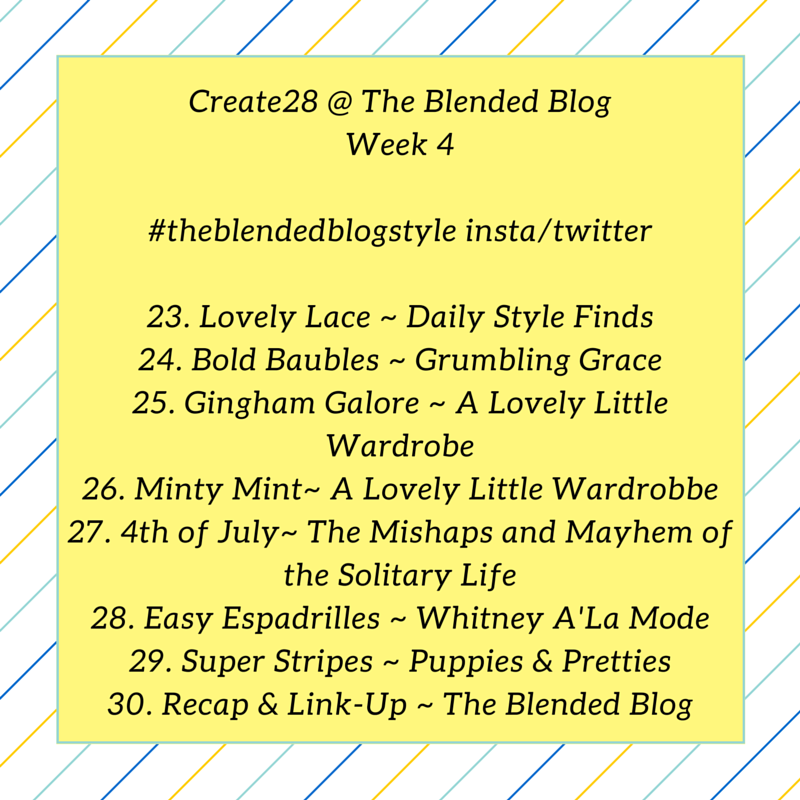 Go check out this weeks recap on The Blended Blog, everyone did such a fabulous job this week! Without the sunglasses (man it was bright outside, all the pictures I took I was squinting...I guess I really did need the sunglasses). 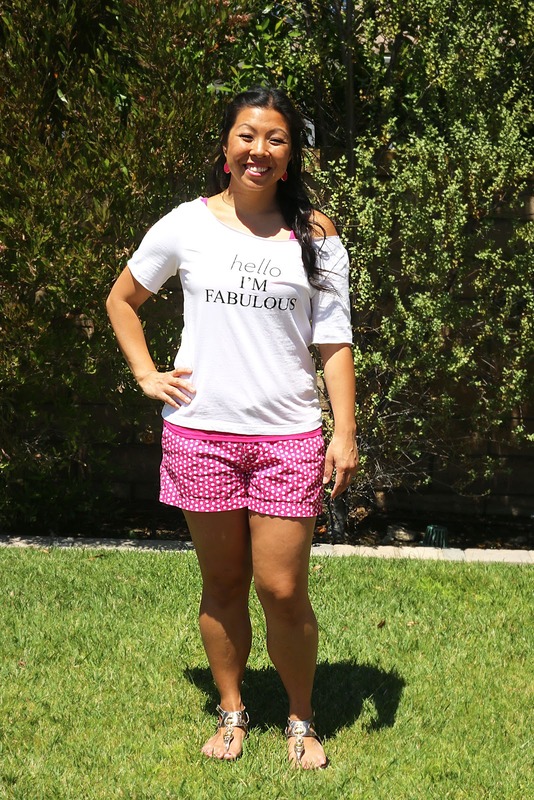 These jean shorts, the most comfortable shorts EVER! 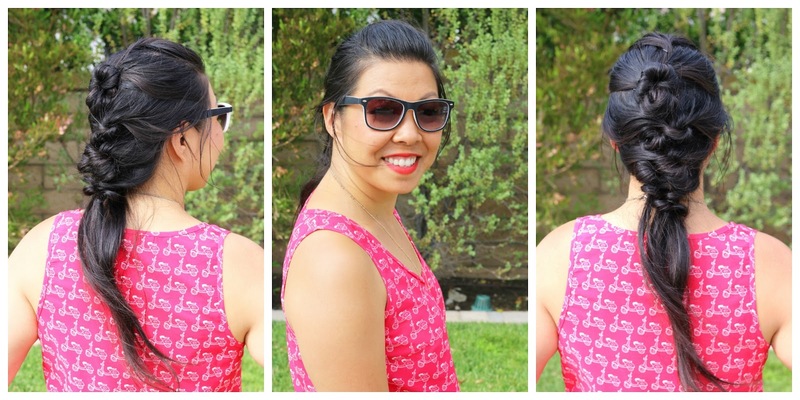 I bought it when I was out shopping with some of The Blended Blog ladies, seriously, worth every penny! And the hair...I actually wore this outfit on Saturday to Baby Fox's half birthday party...I knew it was going to be hot, so I wanted it all up, perfect excuse for this Knotted Mohawk style. I didn't feel like I had enough hair at the end to complete it how she did, I'm fairly certain she has extensions in, so I just left it in a ponytail which I think works just as great. My second look is the Pinned It and Did It look. 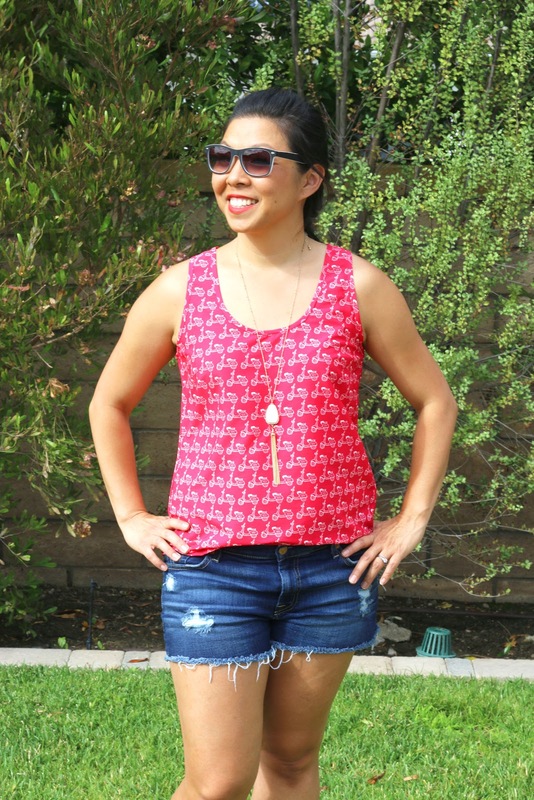 I have lots of outfits pinned, but I had been wanting to try a to cut an off the shoulder t-shirt with one of my t-shirts. 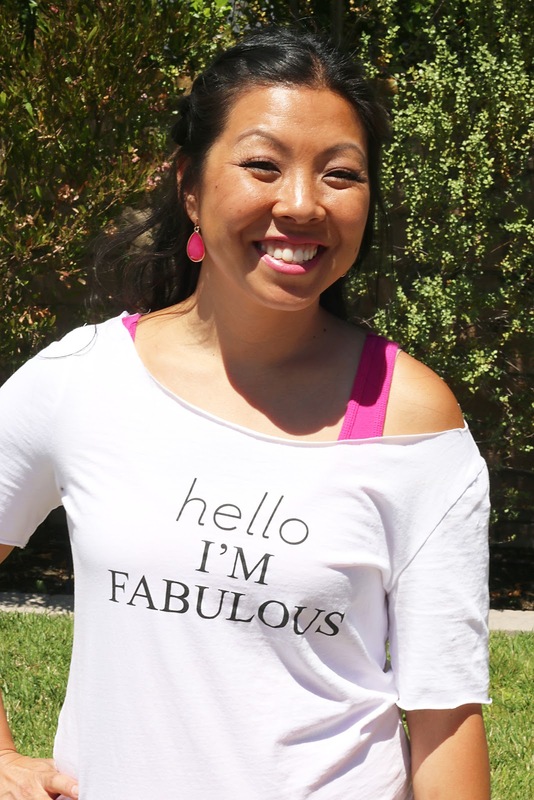 After getting my Chico's T-shirt from the blogging conference, and I knew I probably wouldn't wear it as is, I thought, this is the perfect t-shirt to try this with. So I followed her youtube tutorial and I think it turned out pretty good. I wish the t-shirt was a little bigger, but I think it still worked. For the hair I did a twisted half do, and added some extra twists to cover up the rubber band. I think that it turned out great, I'm really into doing twists right now, not sure why, but I think they are just so pretty. Last Wednesday I did this simple braid...can you guess...it was day 3 hair, so a braid is necessary. I fully admit I watch stupid TV, it's mindless and I like it...but I was watching Young and Hungry and Gabby had something similiar I was trying to copy, but it didn't quite work out like hers, but I went with it. Back with more twists on Monday, it was 107° here, so fancy pony tail for me. I wanted to do some twists again, but decided to do a braid instead, this wasn't exactly the look I was going for, but hey it will do :) It was still easy to wear and comfy all day long. Random fact: See that white background behind me? If you see it, it means I'm at work, toasting my bread for breakfast... The toaster is in a corner of the building right by a window where no one walks unless they are using the toaster...perfect spot for a selfie. This is our last week of Create 28, I can't believe it's coming to an end so soon! No fear we have something else planned for the summer months, plus something really fun for Fall. So stay tuned for details once we've hashed it all out. 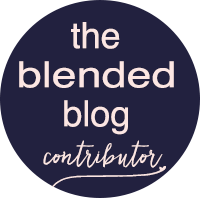 In the mean time, don't forget to hop on over to The Blended Blog for a full recap of all of the this weeks outfits. The prompts for our final week. 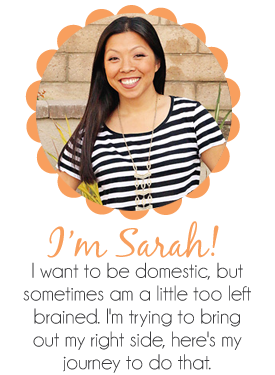 Link up one of this weeks prompts or any outfit post, hop around and meet some new people! Thanks for joining in on the fun!